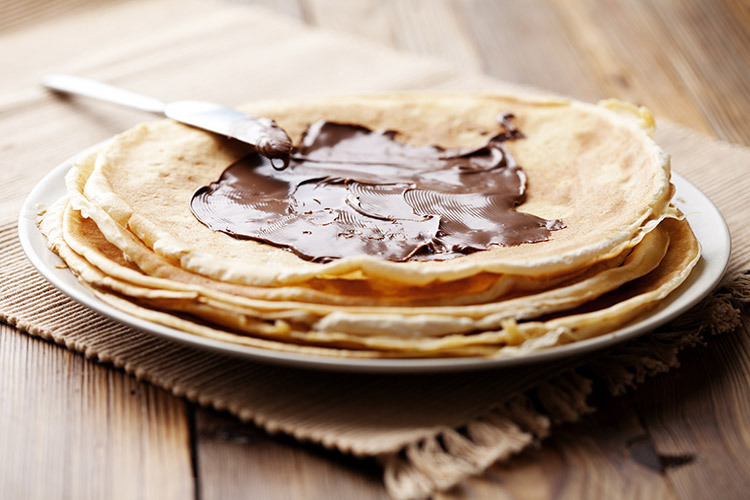 You are at:Home»Kitchens»Our favourite recipes for Pancake Day! Our favourite recipes for Pancake Day! 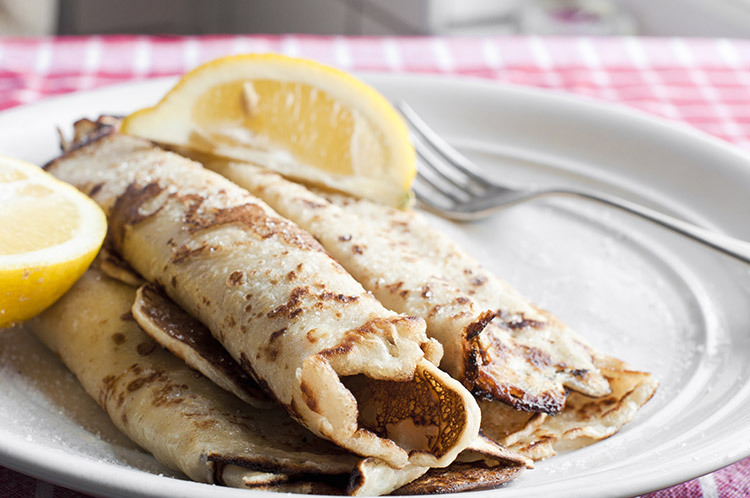 Today we’re celebrating Pancake Day and sharing some of our favourite recipes with you. Whether you like yours sweet and simple, or the more decadent and indulgent variety, here’s a few suggestion to get your taste buds going! If you’re planning to try your hand at a bit of pancake tossing tonight, make sure your choice of toppings will go down a treat with these recipe ideas. Sieve your flour into a large mixing bowl. Make a well in the middle and crack the eggs into it, then begin slowly mixing the eggs into the flour, from the centre moving outwards. Next, start to add the milk. Pour it in gradually, continuing to mix the batter until you have incorporated all of the ingredients and a smooth, thick paste has formed. Set your batter to one side and begin to heat a frying pan with a decent amount of your chosen oil. How much batter you use with depend on how thick you would like your pancakes to be. Ladle your batter into the pan, trying to disperse it evenly. Allow it to cook for about a minute, until it starts to turn golden underneath. 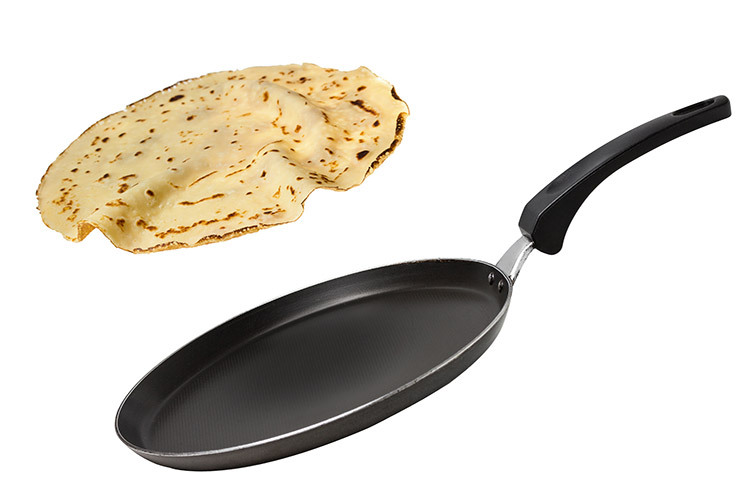 Then, if you’re feeling a bit daring, toss your pancake in the air to flip it over and continue to cook the other side until it has a nice even colour. Serve and enjoy! See, it really is that simple! Lemon and sugar – Sometimes sweet and simple is all you need! Chocolate spread – Decadent chocolate, a bit of sliced banana works well with this too. If chocolate’s not your thing, substitute it for some peanut butter, or use both! Blueberry and maple syrup – This one’s just sweet enough.